Western Istrian wine region, Buje area, grapes of higher structure from selected vineyards. This 100% Istrian Malvasia is produced using the method of quick processing, no skin-contact, fermented and aged for 12 months on fine lees in French troncais/ allier oak barrels. The sediment is periodically stirred until the end of winter. The wine is aged in previously used barrels, with a yearly rotation of 20% of new ones. Style-wise, Alba’s elegance gives way to strength and complexity of Alba Barrique. 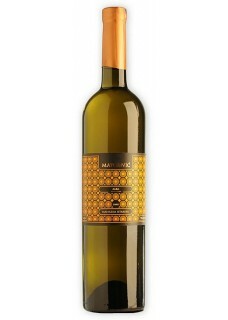 Malvasia’s standard aromatic profile is given new life with oak-influenced aromas of vanilla and caramel. Overall, Alba Barrique is a highly structured wine of pronounced longevity. In best vintages, it reaches its maximum after two to five years. It is a typical powerful Istrian wine of distinguished character, a regular international award-winner. Food pairing: Seafood, fish - on the grill or stewed.